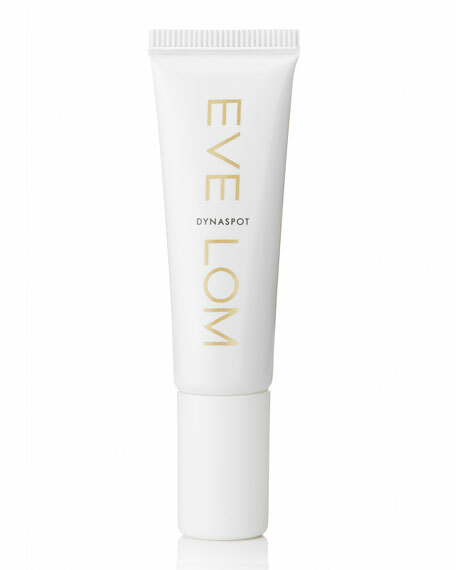 Eve Lom Dynaspot Salicylic Acid Emergency Acne Treatment, 10 mL/0.34 fl. oz. Eve LomDynaspot Salicylic Acid Emergency Acne Treatment, 10 mL/0.34 fl. oz. An emergency treatment for break outs, this is a topical lotion that clears spots fast. Antiseptic terpineol and salicylic acid accelerate healing. Dab a small amount onto the blemish and allow to dry. When using under makeup, allow the cream to dry and then gently buff off any excess.